Word clocks normally use an array of lights to show the time, and although this project does use lights, how it works is much different than others. LEDs for the device are hidden behind a thin layer of PVC, while 114 tiny SG90 servos move the lights and their 3D-printed frames back and forth. 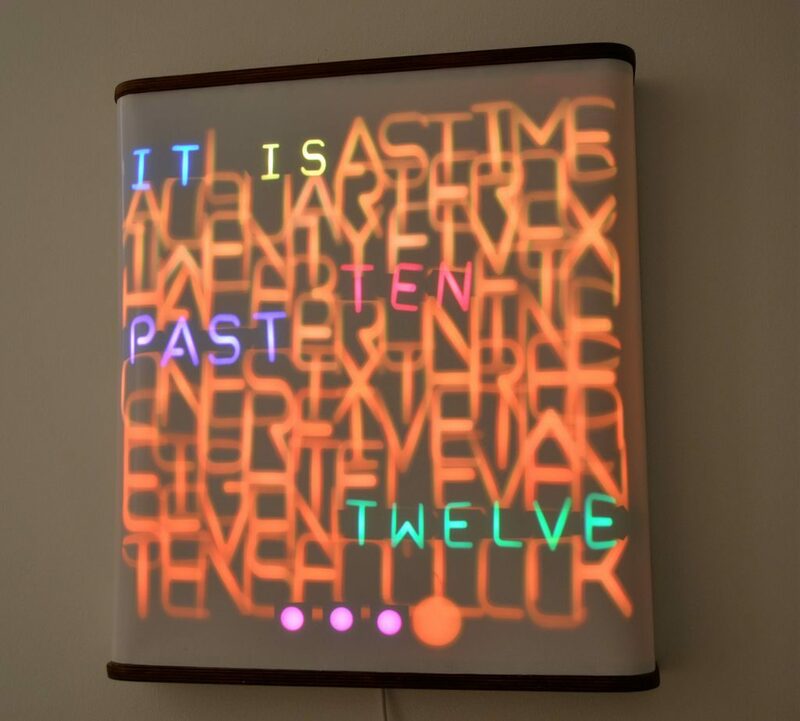 The result is a stunning display where the time is spelled out by the appropriate characters. These progressively come into focus, setting them apart from inactive letters which appear to fade into the background. An Arduino Nano drives the assembly, along with an infrared controller setup and an RTC module for accurate timekeeping. A demo can be seen in the first video below, and the very involved build process is highlighted in the second clip. What has 114 LEDs and is always running? As you may know the answer is a word clock. What has 114 LEDs + 114 servos and is always moving? 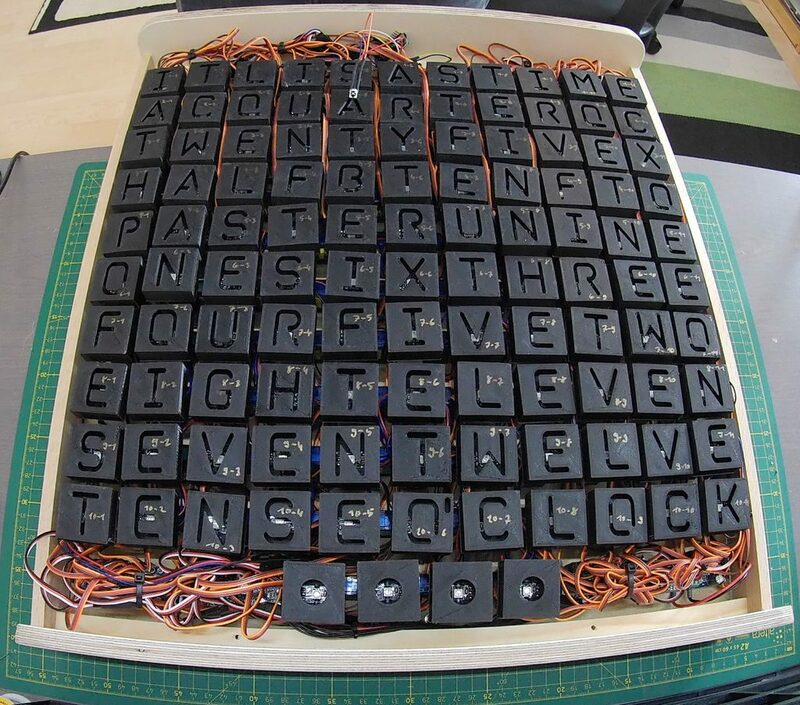 The answer is this servo controlled word clock. I saw the Video and… wow. That looks Incredible. Great work ?? ?